Why Do We Still Celebrate Holidays for Two Days in the Diaspora? Is the Yom Tov Sheini an anachronism? I understand that in ancient times the rabbis decreed that Jews in the Diaspora should celebrate holidays for two days, because of some confusion about the correct day to celebrate. Nowadays, however, we have a fixed calendar, so why do we still celebrate two days in the Diaspora? Good question. Indeed, we could ask why the custom of celebrating two days didn’t stop almost 2,000 years ago, when the Jews started using a fixed calendar as opposed to determining the months based on observations of the new moon. However, the question remains. 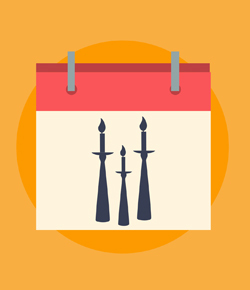 A simple reading of the Talmudic text cited above seems to indicate that the reason to still keep two days is merely as a precaution in case we are not able to learn the Torah and the proper way to calculate the new month. However, nowadays, with the advent of modern technology and computers, we have calendars stretching for hundreds of years into the future, so this would hardly seem to be a concern. Rabbi Hai Gaon was the undisputed authority on Jewish law in the early 11th century. He writes that the requirement that one should keep a second day of Yom Tov outside of Israel really stems from the days of the prophets, and perhaps even from the days of Yehoshua (Joshua) ben Nun. Based on this, he explains the somewhat curious wording of the Talmud cited earlier: “Be careful to keep the customs of your forefathers and keep two days of Yom Tov.” Why not state simply that we should keep two days lest there develop some doubt as to the correct day? However, there is a general rule that once a rabbinical enactment has been made by the Sanhedrin and accepted by the entire Jewish people, the enactment can be absolved only by a court that is similar or greater in number and stature to the one that made the enactment. While one would be hard-pressed to find a court that could compare to even a regular Sanhedrin, it would be impossible to find a court with the same stature as the prophets, who were divinely inspired. Thus the Talmud warns that we should “be careful to keep the customs of your forefathers,” as the custom of keeping two days of Yom Tov in the Diaspora isn’t just about satisfying a doubt, but about adhering to an enactment instituted by the prophets. According to the teachings of the inner wisdom of Torah, there is a deeper reason—perhaps even the “secret” of the prophets to which Rabbi Hai Gaon alludes—for keeping two days of Yom Tov in the Diaspora. The Tzemach Tzedek, the third Lubavitcher rebbe, expounding on what Kabbalists such as Rabbi Moshe Cordovero and others write, explains that since holiness is more revealed in the Land of Israel, the festivals can be revealed and received there in one day, as the Torah commands. However, those in the Diaspora are farther away from the revelation of holiness, and therefore, in order to absorb the spiritual emanations of the festivals, two days are required, as the rabbis ordained. Perhaps it is for this reason5 that the Lubavitcher Rebbe,6 as well as others,7 contends that even in the days of Moshiach, when the Holy Temple is rebuilt and the Sanhedrin is reestablished, those outside of Israel proper will continue to celebrate Yom Tov for two days. After all, although the whole world will be elevated, the Land of Israel will be elevated with an even greater degree of revelation. May this be speedily in our days! Please note: Regarding the law for travelers to or from Israel, although some authorities say that you should keep Yom Tov for one day if you are in Israel and two days if you are elsewhere, most authorities rule that wherever you are, you keep Yom Tov for the number of days it is kept in the country of your permanent residence. One should consult with one’s own rabbi before traveling. Otzar HaGeonim, Masechet Yom Tov (Beitzah) 4b. See Yemot Hamoshiach Bahalachah 1:46. Torat Menachem 5749, vol. 1, p. 227 (talk during the day of Simchat Torah). See for example Derashot Chatam Sofer, vol. 2, p. 272b. Do I need to check a rented tuxedo for shatnez? What to do if I missed reciting the evening prayers? We celebrate two days for the other festivals so that we do not alter the customs our forefathers observed when the month was sanctified according to the sighting of the moon. But even our forefathers only observed one day of Yom Kippur because of the fear of danger [to life and health], and we do not issue public decrees that the majority of the community cannot abide by. Nonetheless, such a question is raised by the Halachic authorities: The Rama writes: There are those who are stringent and fast two days of Yom Kippur [just as we observe two days for all of the Festivals in the Diaspora]. But one should not follow this stringency because it can be dangerous [to one's life and health]. Why jews were not given a system how to calculate beginning of the month together with other knowledge in torah? Doesn't it make sense that if you are given a commandment you should be given a reliable system when you should do it? The system of witnesses and fires proved itself not so reliable. Why is there only one seder in Israel and 2 seders (sedorim) in America? Reason One: -In Israel everybody is fluent in reading Hebrew but in America we take longer to read the Hagaddah and so we do it in 2 days instead of one. Reason Two - In Isael teh people are poor and they can only afford one seder. 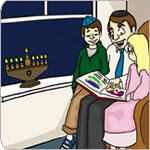 Reason Three - In Israel everybody is Jewsih so they have just one seder. In America, however, we have two seders (sidorim). The first seder is for the Jews and the second seder is an interfaith seder. Moshiach and particularly when the Third Temple will be built and even the Sanhedrin will be reestablished, there will not be Israelites living outside of the Holy Land. All the Houses of Jacob, Judah and Joseph, all of them, will be gathered by Moshiach to the Promised Land (Ezekiel 37:19-22). The prophet specifically emphasizes that, "And I will multiply men upon you, (the Mountains of Israel), all the house of Israel, even all of it" (36:10). In the other place his statement even more stronger: ..."but I have gathered them unto their own land, and have left none of them any more there (39:28). Rashi commented: "No one will be left in the Exile!" These are the good old days... I understand the need for two days in "olden days". However, because of astronomy, computers, etc., today we can tell when the new moon will occur anytime in the future,. Why does this tradition continue? The continuation of this practice suggests adding to what the Torah instructs us to do, which is not allowed. I would suggest that the extra day of holiday in the modern world is quite an imposition (telling your boss you need an extr day off is not easy) an is unnecessary since we know exactly when the new moon begins. diaspora jews in israel on holiday but why do jews who do not LIVE in Israel, but go there to spend passover, why do we have to celebrate 2 days? my husband comes from a traditional family and when they go to israel for passover, they do as they do in israel (when in rome, do as the romans...) but i come from an upbringing where if in israel for passover, as non-israelis, we celebrate 2 days - have you an explanation on this? or advice?? ?